What is the difference between a website and a website hosting? How to easily create a website (for beginners)? I know that as a newbie getting started online can be extremely overwhelming but this feeling quickly fades once you start learning. Just recently I wrote an article on the difference between a website and a blog but today I decided to touch on the topic of website vs. website hosting. I get these kinds of questions in the live chat at Wealthy Affiliate community and this is how I come up with content ideas for my blog. As always, I’ll try to explain everything the best way possible. Two Types of Hosting: Which One is Better? What Is the Difference Between a Website And a Web Hosting? 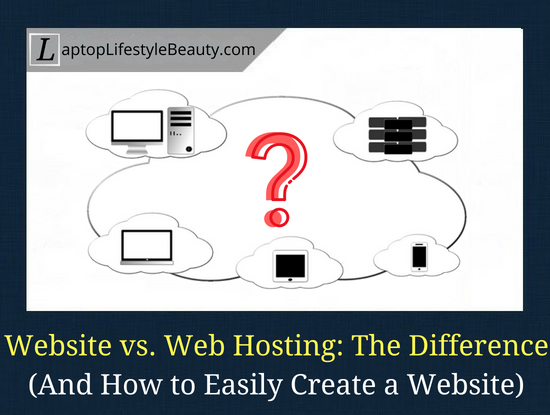 Usually I expect a “website vs. blog”, not “website vs. web hosting” question. But since that latter does come up relatively often, let’s clear things up right now. As I mentioned in my other blog post, a website is basically any forum, any blog, any news portal that you can find on the World Wide Web. We are used to calling any site as “website” without going into too much detail. This does make sense as the English word “site” is translated as “place”. In other words, a website is a place on the Internet. If we follow this chain of thought, then all the examples I listed earlier are just a kind of website. 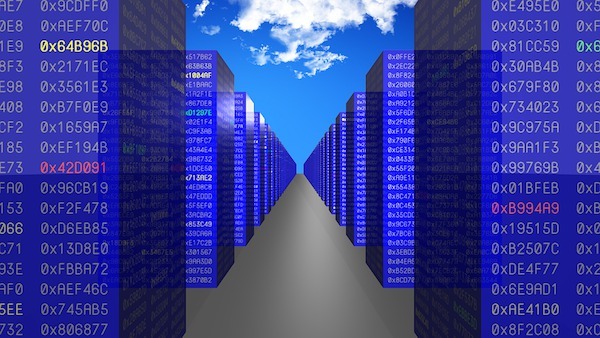 And what is a web hosting? Hosting is a service provided by hosting providers so that you can save/host your file and documents on the web. If I simplify the language even more, then hosting is basically a place on the server, where your website files live, 24/7. If you want to build your website, you WILL need a web hosting. Basically, the Internet is this huge hard drive, which has billions of different folders. Some of these folders are occupied, and some are free, so you just need to buy a free folder (hosting) and put your ready site there. So keep this in mind and choose your hosting wisely. (Later I will talk about the two types of hosting and why a paid hosting is better than a free one). 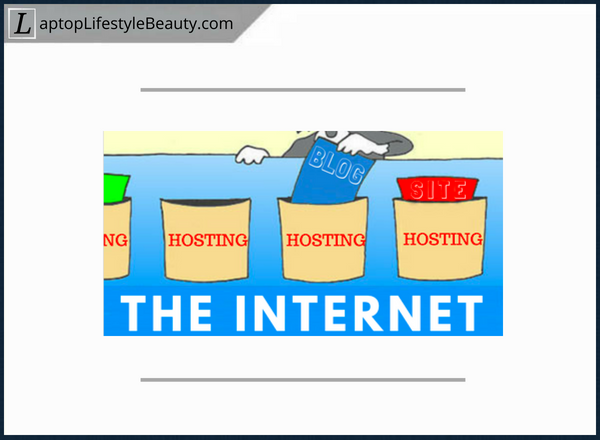 Why do you need to choose wisely when it comes to web hosting? Let’s imagine the following situation. You built your first website/blog and decided to host it on a low-quality web hosting. As a result, you will constantly experience issues and your website may often be even unavailable to Internet users. If search engines, like Google, Yahoo and Bing will see that, then they will “punish” you and you won’t get a chance to get ranked at all. And if you won’t get ranked in search engines, then there is no way you will receive traffic (people). And if you don’t have traffic, then how can you possibly build a successful online business? 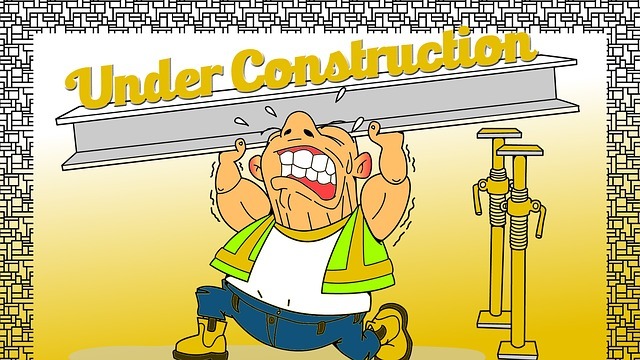 So, if you decide to build a website, be careful in your selection of web hosting. Especially, if you’re intended to make it work. There are two types of web hosting, the pros and cons of which I am discussing below. Two Types of Web Hosting: Which One is Better for You? There are two types of web hosting. Hosting name in your domain name. Example: yourdomain.blogspot.com. (Search engines undermine websites with such domain name and the websites won’t rank high up). And here are the pros and cons of a paid web hosting. Stable operation of servers, databases etc. Based on the aforementioned information, paid web hosting definitely has more advantages. Based on my personal experience, I found that there are essentially 2 groups of people. 1). Those who want to get started online the easiest and cheapest way possible, just to taste what it’s like to have a website and blog on it. 2). Those who ALREADY know that they want to have a solid website business and are looking for all the training, tools and resources necessary to make it work. (Preferably at a low cost too). That’s why, below I will provide 2 options for you when getting web hosting (and a domain name). Side note: Domain name is your websites URL (website name). I’ll start with the Bluehost. For those who want to “dip their toes in the water”. Bluehost is one of the most popular, cheapest and easiest ways to build your website. I mean there’s no better service for a total newbie. “Dip your toes in the water” by following my step-by-step guide on building a website with Bluehost for beginners (with video). (This helps me support my website and continue delivering quality content to you). I realize that you might want more info, so here’s a full article on Bluehost (with specific instructions on how to build your first website). Let’s now talk about hosting option #2. Wealthy Affiliate is all-under-1-roof platform to help you build a successful affiliate marketing website/online business. If you want to not only build a website and have a secure web hosting, but also the training and the tools you need to succeed, then Wealthy Affiliate hosting is for you. 1. Which web hosting am I with? Personally, I use the WA hosting. Since I am a part of Wealthy Affiliate online business community, all their tools and services are available to me and this includes website-building free of technical knowledge on my part, hosting, and other website-related matters. In addition to that, I have access to things that NO OTHER hosting company offers. Keyword tool and other business productivity tools. Since I have a yearly Premium membership, all their services and tools come out to me as much as $0.80/day. Don’t get me wrong though- there is a great price-quality ratio. The price is not too expensive, and all the features of the online business community (including web hosting) are state-of-the-art. 2. What is the website hosting capacity at Wealthy Affiliate? (This was a question from a more experienced reader). As far as I know, their bandwidth is 500,000 visitors/month. Once you reach half a mil people visiting your website, then you’d have to move to another high-end hosting for such powerful websites. 3. How to transfer a website from Wealthy Affiliate to Bluehost? I personally never transferred my websites from Wealthy Affiliate to Bluehost. When I reach 500,000+ visitors to my website, that’s when I will upgrade to a high quality hosting system. 4. How does Wealthy Affiliate compare to other hosting platforms? Since I use their hosting, I can assure you that their hosting service is served on the fastest network in the world and is comparable to $250 hosting platforms. … then you may receive slower website loading speed AND your website can be more vulnerable to hacks, attacks and other issues. If you need to gain perspective on WA hosting firsthand (with comparisons to other hosting companies), then read Kyle’s blog post here. Website vs. Web Hosting: Your Thoughts? Now, I’d like to hear from YOU. Do you now understand what is the difference between a website and a web hosting? Are you a total beginner or an aspiring affiliate marketer? Which web hosting would you choose yourself? I have a feeling I may have left some questions unanswered, so please DO ask your questions in the comments below and I will be more than happy to answer them! I’m also using Wealthy Affiliate web hosting for all my websites and I agree with you. My overall experience with it is outstanding. Its an all-in-one, high-quality online business platform at a comparatively cheap price… what else can we ask for? Hey Christian, welcome to my blog. I definitely agree with you – there is no other place like Wealthy Affiliate! Be it the hosting, or the community, or anything else. By the way, apparently, there’s a new “writers” platform coming out this year, so we can hire writers right there if we want to outsource our content! Zarina, thanks for this valuable information! I have been looking for information on an online business for quite a while, and one of my main questions was regarding how to find a place to host it. This clarifies the questions I was struggling with. I’ve seen many commercials for web hosting companies like NameCheap and HostGator but have not done a lot of research on the pros and cons as of yet. I will definitely keep your list of pros and cons of the free vs. paid in mind. It definitely sounds like a better idea to go ahead and plan on spending some money for a paid hosting service. I’m glad to have that info, as it validates the choice that I made to pay for hosting for my future site. Thanks! Hi Julie, welcome to my blog! Yes, I've heard horrible stories and experiences with free web hosting companies and I can assure you that if you want quality and hassle, stress-free life with your website (in terms of hosting), then you're better off choosing a paid hosting service. However, this doesn't mean that you have to go and choose a web hosting company just based on their price. A high price isn't always equal to high quality. There should be a balance of the price/quality when making your choice. As it's evident from the post, my choice is Wealthy Affiliate hosting – click the link and at the bottom of the page, you will see the comparison chart of their hosting features to other hosting companies like Pagely, Pressable and WP Engine. With their hosting, you only pay $49/month which includes a lot of great features, including training, tools and support (that no other hosting company offers). – the price for Pressable is $90/month (not as expensive as the other too but still lacks features that WA hosting offers). I hope I could help you choose the right web hosting company for your website. Thanks for clearing the difference between a website and a web hosting, I thought they were the same thing but just with a different name. Hi Paulina, no worries, it's important to ask questions so that things are more clear for you. With the first question you are right, if you go to any website, you won't know which website hosting they are using to host their website at, unless the website owner himself doesn't tell you or write about it (like me in this post, for example). And truthfully, why would you be looking for this info if you visit other websites? I believe that no website can be NOT hosted. Don’t take my word for it though, that’s just my personal opinion. As far as I know, the programming comes to website BUILDING, not website hosting. Personally, I don't have any knowledge in coding whatsoever, that's why I used SiteRubix platform for building my first website. It freed me from any technical aspect and I built a website within seconds. Alternatively, if you just want to “dip your toes in the water” and want to just experiment building a website and see how that goes, you can try it with Bluehost (here are the step-by-step instructions). However, I do know that there are people who enjoy the technical aspect of website-building so they would build the website on their own. And then they would have to choose a hosting company for their website. Basically, a place where their website files will live. Thanks for your reply, you are right and I wouldn’t be looking to see if a site is web hosted or not… I was just interested to know if I can tell just by looking at the site, I know that it really doesn’t matter. But it is still good to know the difference even if it’s just for general knowledge. As far as I know you can’t know where the website is hosted (at least the easiest way).